A knife? A flashlight? How about both. The SOG Bladelight Minis are the best knives in low light situations, and they’re not just gimmicks. The LEDs on both sides of the blade will light up whatever you are cutting. Since these knives are water resistant, they’re the perfect knife for use on a boat, or near the water. Just remember to oil the blades regularly as salt water does major damage quickly to stainless steel. Get one today at www.knifecenter.com. 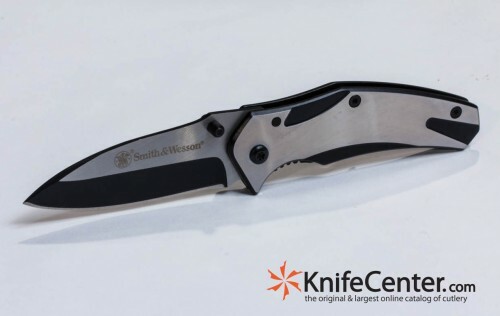 The Smith & Wesson CK401 Drop Point Frame Lock is a manual-folding knife with style. The frame sports a two-tone, black and brushed steel finish, which is the same on the blade and it really gives this knife a cool look. For the price, this is a knife worth having, even considering its diminutive size. It’s only 5.88″ overall, but ergonomically it’s excellent. We look forward to seeing a larger brother in the future. 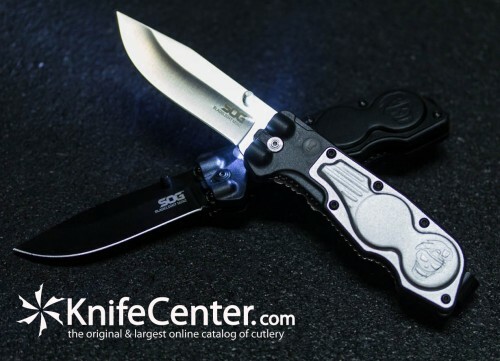 For now, take a closer look at the new CK401 at www.knifecenter.com. 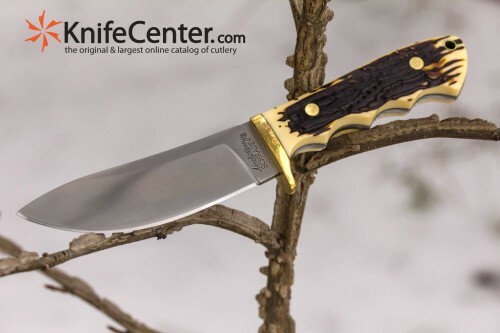 The Schrade Uncle Henry Elk Hunter and Skinner are great for all your outdoor needs. With blades made from 7Cr17MoV high carbon stainless steel, they have excellent corrosion resistance and will take a very fine edge. The handles are made of Staglon, which is a plastic-like material with the visual appearance of stag. They both come with premium brown leather belt sheaths and either one would make a great first hunting knife. See more information at www.knifecenter.com. 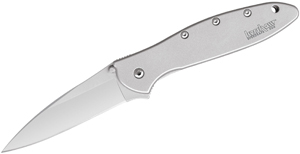 The Kershaw Blur is a favorite among knife enthusiasts for it’s speed and ergonomic design. It’s a great general purpose knife that is as good a choice for an everyday carry as it is for a tactical tool. Equipped with Sandvik 14C28N stainless steel, it provides the Blur with the corrosion resistance you need, and excellent edge-holding ability. Designed by Ken Onion. Get one today at www.knifecenter.com. 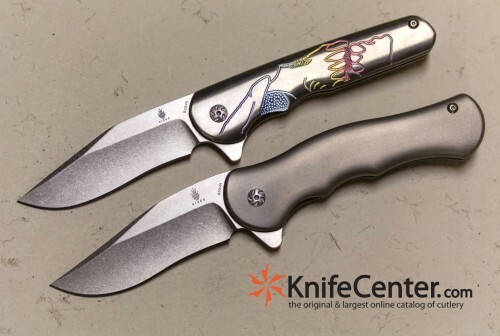 Kizer collaborated with custom knifemaker Matt Cucchiara to bring you the Flashbang and Dorado folders. Every surface and every edge on each handle is contoured for comfort, and gives these knives an exceptional look and feel. The pocket clip is machined titanium to complement the sleek style of these knives. Overall, these are superb knives. They truly capture the design style and quality of Cucchiara Knives, and are great values for the money. See them at www.knifecenter.com. You can’t miss the major changes to the QTR-3fTT “Templeton Peck”. For starters it’s almost 40% lighter and has a much slimmer profile thanks to its frame lock design. It’s stronger and lighter, a deadly combination. Instead of thumb studs, this model now has a flipper for much quicker opening. It’s subset against the handle of the knife so it’s highly unlikely to open in your pocket. 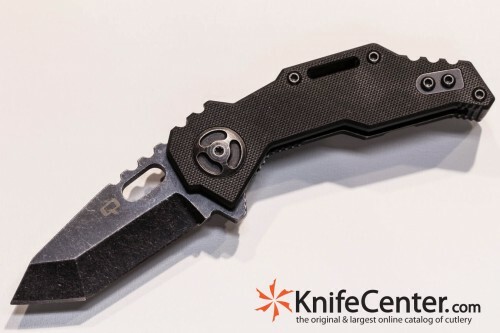 See everything new for yourself at www.knifecenter.com. 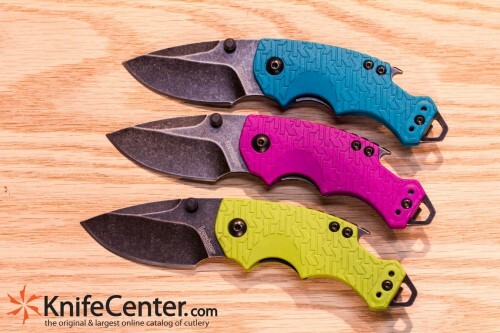 Three new colors are added this year to the family of the Shuffle, an awesome compact folder from Kershaw. But it’s not just looks that are important, this design is one of our favorite small folders at any price point. It sports a wide drop-point style blade, a back spacer that doubles as a bottle-opener, and a lanyard hole that is also an emergency screwdriver. And the ergonomics are out of this world. Pick out one in your color at www.knifecenter.com. To start with, Reate Knives are made in China, but that’s the only criticism you can lay against these knives. All three of the knive’s actions are so smooth they feel like they are assisted and the price of these knives is well below their quality level. Plain and simply, these are superb designs with excellent materials and affordable prices, making these some of the best everyday carry knives on the market. These knives can handle anything and everything you will throw at them and most likely will replace and EDC knife you are currently carrying. 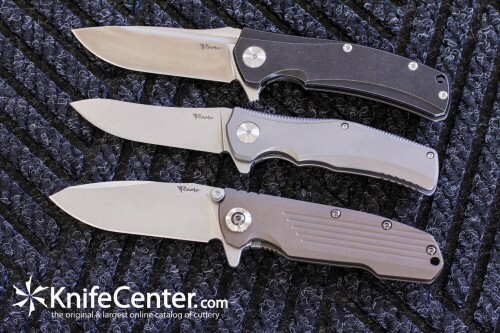 Check them out at www.knifecenter.com. Is made in the USA important to you? Need a hard working knife for a great price? Look at the Buck Alpha Dorado. 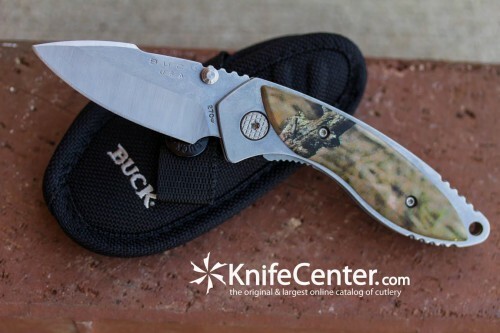 This new model features a Stainless Steel frame handle with a Mossy Oak Infinity inlay, and 420HC satin blade. 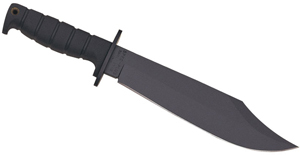 This is a quality hunting knife you can also EDC and it comes with a black nylon belt sheath. 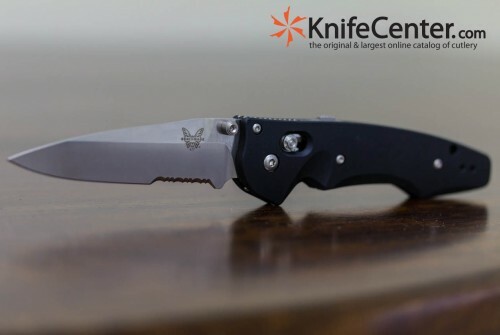 Take a closer look at www.knifecenter.com. The Benchmade 477S Emissary is the second folder to feature the AXIS assist locking mechanism, after the Barrage. The spring assisted action of this slim, lightweight folder makes it a great EDC and tactical choice for anybody. 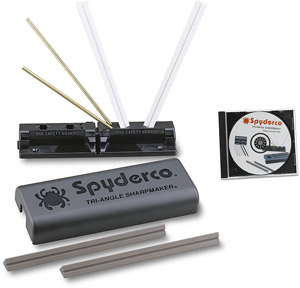 The blade rockets out, and locks up tightly, each and every time you actuate the ambidextrous thumb studs. The handles are CNC machined from a billet of high strength aluminum alloy, giving the knife strength without adding weight. All in all this is a great pocketknife for anyone, especially Benchmade fans. It reminds us a lot of the 940m which is definitely on a short list of best folding knives ever made. 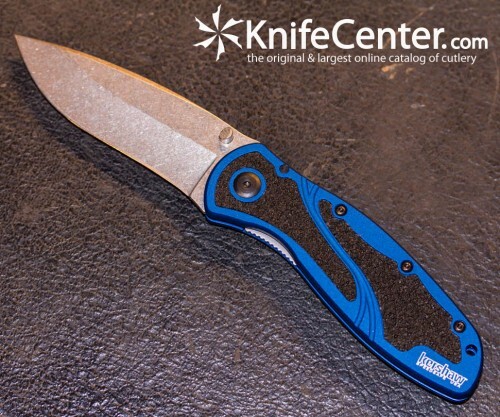 Get your Emissary today at www.knifecenter.com.